NB Flights, Transfers, Accommodation And Meals Are Not Included In The Course Fee. This is your chance to experience three of the most stunning days of sports photography possible, all taking place over one amazing long weekend in the Austrian Alps. 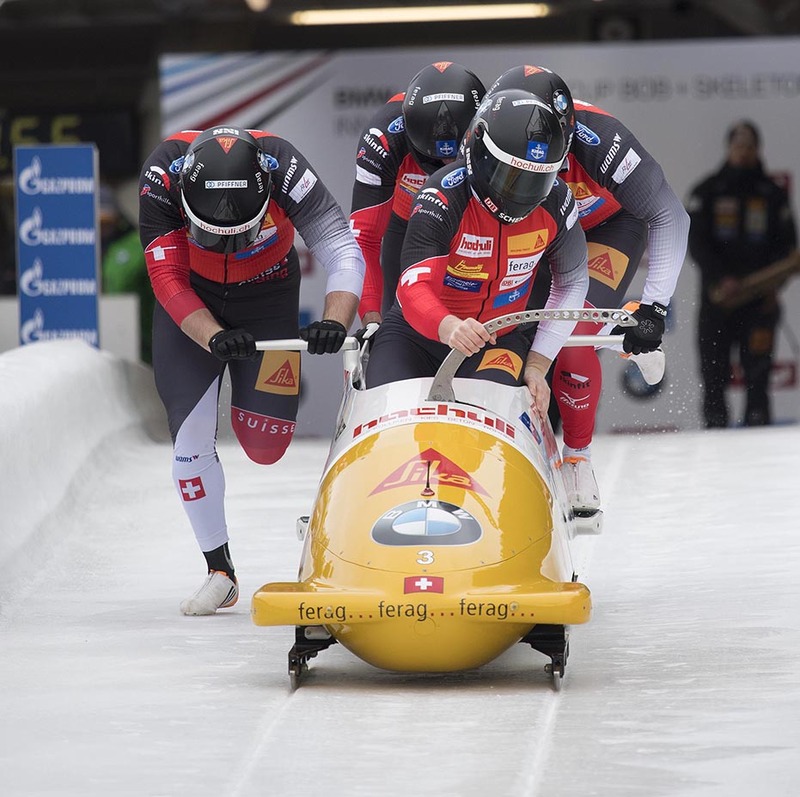 The world's best athletes will be competing in Igls in the Skeleton World Cup races. 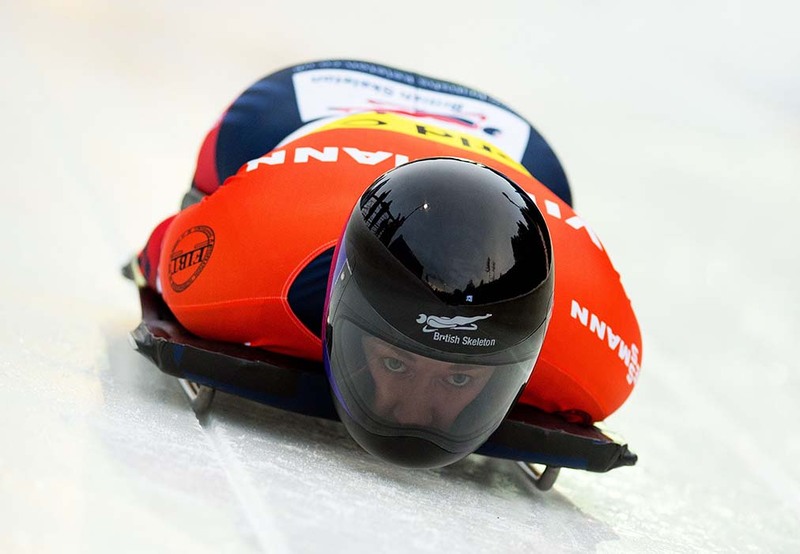 British Winter Olympic Champion Lizzy Yarnold and her bronze medal winning team-mate Laura Deas will be going head to head once again. 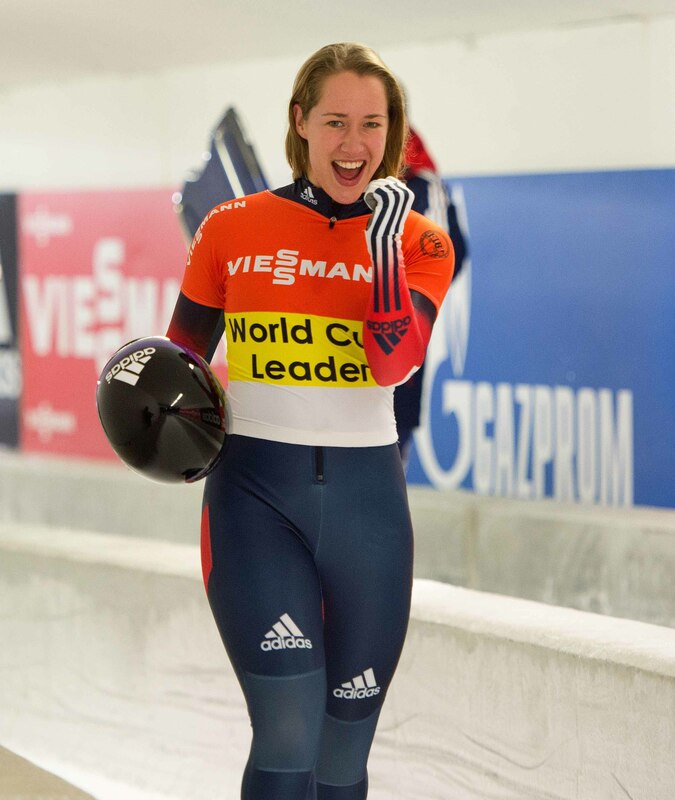 The Mens race takes place earlier in the day so you can hone your skills on the Mens race to come away with some fabulous images of Lizzy, Laura and the rest of the field in the afternoon. 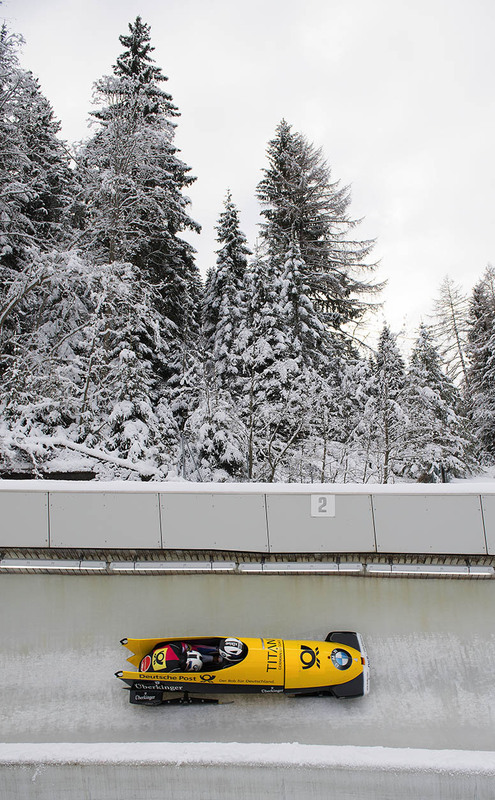 IGLS - The fastest Olympic winter sports happen on this ribbon of concrete, steel and ice that zigs-zags down at Igls. 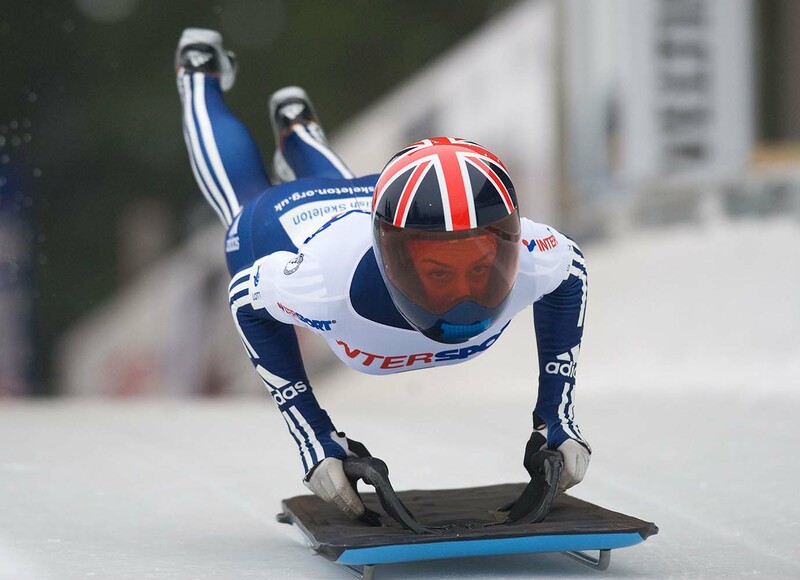 The best Skeleton racers will battle it out on what is one of the world's toughest tracks. 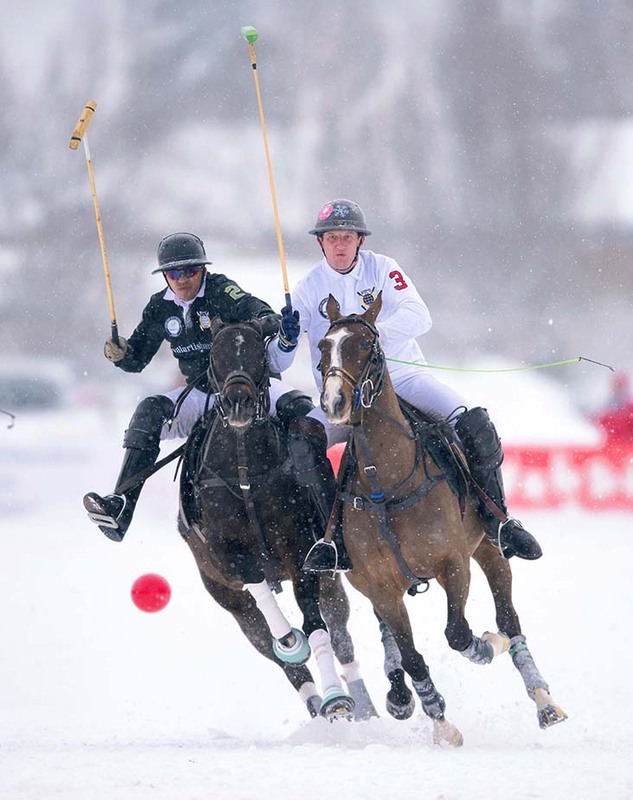 The Snow Polo World Cup is a fabulous event to photograph. 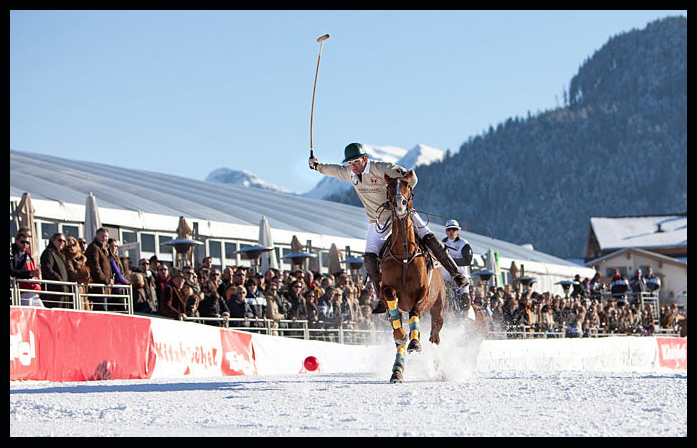 Set amongst incredible scenery on the outskirts of Kitzbuhel, international Polo teams will battle it out for the winners trophy in the shadow of the Wilder Kaiser mountains. You will have full photo access to all of the action and it always delivers amazing images. It appeals to both horse lovers and sports photography enthusiasts alike. Morning car transfer back to Innsbruck / Igls. 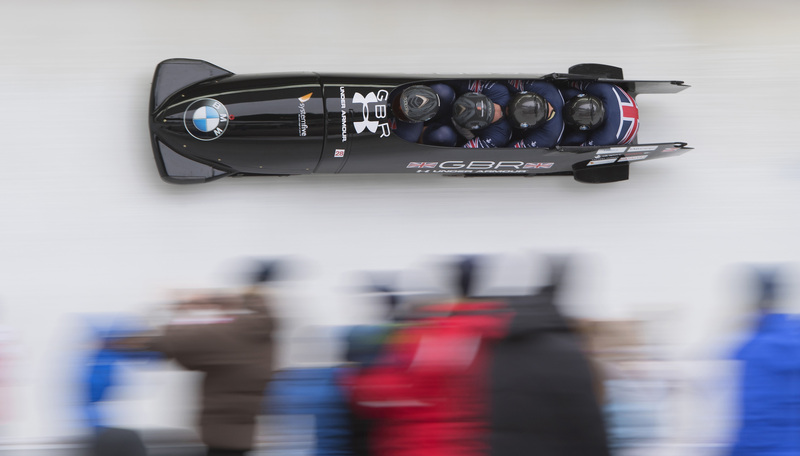 The Mens 4 Man Bobsleigh race is the Blue Riband event of the Igls World Cup weekend. It is one of the most incredible sports you'll ever experience or photograph. It's simply sensational. The immense power, noise and colour of the Bobs are like nothing else as they approach 100mph on the course. Innsbruck Airport is incredibly near the city centre at the foot of the Tyrollean Alps. The views at landing and take off are some of the most spectacular anywhere and the airport is only 15 mins from the city centre. 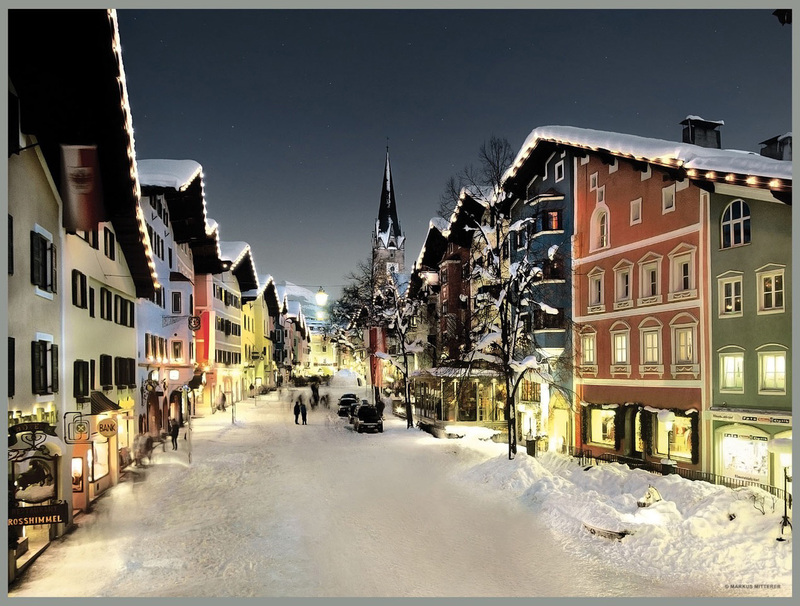 Flights to Innsbruck are very cheap and as of April 2018 prices on British Airways from London Heathrow out on Thursday 17th Jan and back on Sunday evening are only £60 each way. The car transfers to and from Kitzbuhel will cost about 35 Euros per person each way in a 7 seater taxi and are to be paid locally. These are not included in the course fee. I have reserved some single rooms at a 4* hotel near Igls at about £85 a night including breakfast. I also have some double rooms held at about £105 per night including breakfast for single occupancy. The track is about a 5/10 minute taxi ride from Igls town centre and the hotels. I have also held some double rooms at a hotel 15 minutes form the Snow Polo field in Kitzbuhel at a rate of £80 per night as well as some excellent double rooms at a 4* hotel literally a stones-throw from the Polo field at £175 per night. Any hotel booking you take up does not need to be paid until checkout and has a cancellation policy of about a month before the event. You may book your own hotel if you wish but is far better logically if we are all located together as a group. Spaces on this amazing course are strictly limited so please email me at info@sportsphotographyschool.co.uk to secure your place and reserve your preferred accommodation. Course fees are non cancellable and non refundable. All course fees will be asked for at the time of booking. I am not responsible for the cancellation or delay of the events due to adverse weather conditions or for any other local reason. Flights, hotels, meals and transfers are not included in the course fee. ALL IMAGES TAKEN ON THIS COURSE MUST BE FOR PERSONAL USE ONLY AND SHOULD NOT BE OFFERED FOR SALE OR COMMERCIAL PROMOTION IN ANY WAY. WINTER SPORTS AND PHOTOGRAPHING IN SNOWY / ICY CONDITIONS CAN BE DANGEROUS AND YOU TAKE FULL RESPONSIBILITY FOR YOUR SAFETY DURING THE COURSE. Copyright © 2019 Mark Pain Photography. All rights reserved.